One of the techniques that storage vendors use to reduce the cost of hard disk-based storage is deduplication. Deduplication is the elimination of redundant data across files. The technology is ideal for backup, since so much of a current copy of data is similar to the prior copy. The few extra seconds required to identify redundant data is worth the savings in disk capacity. Deduplication for primary storage is popular for all-flash arrays. While the level of redundancy is not as great, the premium price of flash makes any capacity savings important. In addition, given the excess performance of AFAs the deduplication feature can often be added without a noticeable performance impact. There is one process though where deduplication provides little value; archive. IT professionals need to measure costs differently when considering a storage destination for archive. I mentioned earlier that I’d been thinking a lot about the consequences of using a deduplicated store for holding live VMs. This thinking came from hearing the SimpliVity pitch quite a few times and also hearing the questions that came from the audience. To be clear this isn’t something that has to be unique to SimpliVity and SimpliVity did not ask me to write this post. Data storage has always been one of the most conservative areas of enterprise IT. There is little tolerance for risk, and rightly so: Storage is persistent, long-lived, and must be absolutely reliable. Lose a server or network switch and there is the potential for service disruption or transient data corruption, but lose a storage array (and thus the data on it) and there can be serious business consequences. 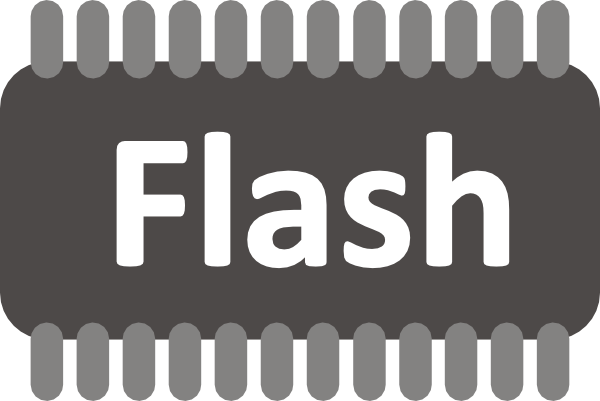 Flash memory is a type of non-volatile memory storage, which can be electrically erased and programmed. What was the event that precipitated the introduction of this new storage medium? Well, it started in the mid-1980s, when Toshiba was working on a project to create a replacement for the EEPROM, a low-cost type of non-volatile memory, which could be erased and reprogrammed. The problem with the EEPROM was its cumbersome erasure process; it needed to be exposed to an ultraviolet light source to perform a complete erasure. To overcome this challenge, the E2PROM was created. The E2PROM type of memory cell was block erasable, but it was eight times the cost of the EEPROM. The high cost of the E2PROM led to rejection from consumers who wanted the low cost of EEPROM coupled with the block erasable qualities of the E2PROM.